Knowing that you carry a genetic risk for Alzheimer’s disease (AD) can make you not only think you have poorer memory—but can actually cause you to perform more poorly on objective memory tests. 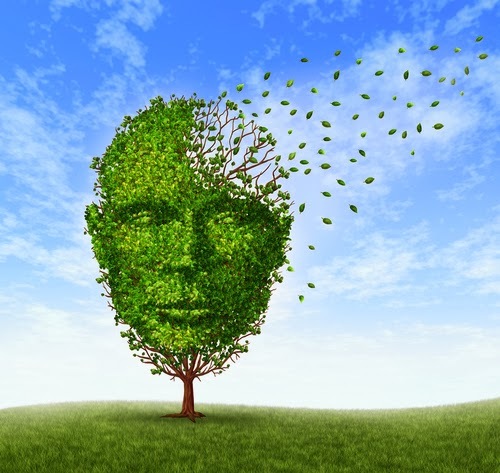 That was the finding from a report titled "Effect of Knowledge of APOE Genotype on Subjective and Objective Memory Performance in Healthy Older Adults" by researchers at the University of California, San Diego, published online in AJP in Advance. The authors administered objective verbal and visual memory tests and self-rating scales of memory function to 144 cognitively normal older adults (aged 52–89) who were either positive or negative for the apolipoprotein E (APOE) ε4 allele, which is associated with AD risk. They tested 25 adults who knew they were positive for the gene and 49 who knew that they were negative, as well 25 individuals who were positive but did not know it and 49 people who were negative and did not know it. Significant genotype-by-disclosure interaction effects were observed on several memory rating scales and tests of immediate and delayed verbal recall. Older adults who knew they were positive judged their memory more harshly and performed worse on an objective verbal memory test than did adults who were positive but did not know that. In contrast, older adults who knew they were negative judged their memory more positively than did adults who were negative but did not know that; these groups did not differ in objective memory test performance. For more on genetic risk for AD and other mental illnesses, see the Psychiatric News article, "Psychiatric Risk Genes Already Active at Birth, Neuroimaging Shows."